Planning a destination wedding can be tricky. Meeting and vetting your vendors can be difficult to do because of distance, but on a day as important as your wedding, this is a step you do not want to skip! Use the tips below to help you select the best band or DJ for your destination wedding. The key to picking the right entertainment for your wedding is finding someone with experience. The more weddings a band or DJ has done, the more skilled they will be at making adjustments to stimulate the crowd’s energy. Experience also comes into play regarding knowledge of what does and doesn’t work in terms of music selection, following a timeline and announcing techniques. Ask for referrals so that you can research the talent’s history, or look at reviews online. Find videos of performances and a list of the band or DJ’s music selection. Once you do, you’ll be able to better gauge if the band’s style will be able to meet your expectations for your destination wedding. Keep in mind that most crowds prefer a variety of several eras and genres instead of one specific style of music. See if a band or DJ’s published list has many styles and songs that will get all ages dancing. If you like the band or DJ’s style, but the music selection isn’t quite a match, see if they’d be able to supply the songs you want. If a band tells you can they can learn many songs for your wedding, that usually means they will be reading song charts on stage, and that is not a good way to have energy on stage. You would never see Bon Jovi, Beyonce, or Bruno Mars reading music and lyrics on stage, and it shouldn’t be that way with the band you hire either. Before you hire a DJ or live wedding band, get them on the phone or on a video chat to get a feel for what their personality is like. Even though some entertainers save their energy for the stage, try to find someone who is just as naturally upbeat so that the guesswork is eliminated. Personality is important because it fuels and inspires the crowd to be looser and party! Not all DJs or singers interact with crowds, but the ones who do (and aren’t cheesy about it) are the top of the line entertainers in this field. 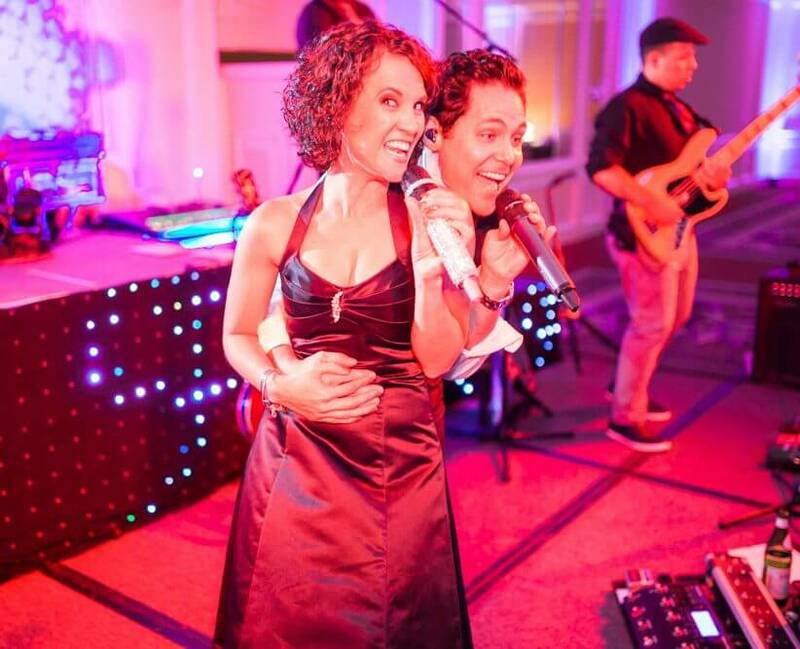 Great entertainers know how to escalate the energy and intensity as the reception unfolds. Look for a band or DJ who has their own professional sound equipment. The most professional DJs and bands will have state of the art gear that sounds amazing. The sound must be clear enough for dancers to hear and feel the beat as well as all the main instruments and vocals in the mix. If the band or DJ already have this equipment, it will involve less planning on your part. It will also likely be a better deal since they don’t have to tack on the cost of renting gear. If a band does not have their own sound system, they are probably not experienced in weddings. The best entertainers will also bring backup gear in case of technical difficulties. You should also ask about wireless microphones, which help stimulate crowd participation. Since you might not physically meet them until the big day, be sure you keep them updated. Let the talent know about the number of attendees who will show up and what their general tastes are. Plan a schedule of events such as first dance, cake cutting and whatever else would be memorable. It’s usually best to go over final details about a week before the wedding. By this time, 95% of details are solidified and it is close enough for the vendors to remember specific needs you have. A week of final preparation is usually very appreciated by your creative partners. If you want to find an experienced band who will make your destination wedding fantastic, contact Wiley Entertainment today.